Importing pharmaceuticals, food, food supplements, products for animal health, or other medical, narcotic and toxic substances into Thailand requires registration with the Food and Drug Administration of Thailand (FDA). The time required for filing product registration application and receiving registration certificates with the FDA can vary widely. Approximate times are as follows: cosmetics one week, general medical devices and toxic substances from one month to four months, Food products and pharmaceuticals can take several months. 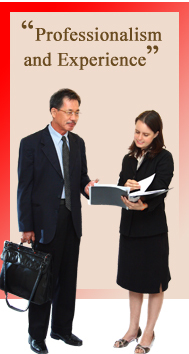 The Thai FDA requires importers and manufacturers in Thailand to obtain FDA approval prior to importing or manufacturing. The FDA categorizes drugs into modern, general medicines, traditional medicines and veterinary medicines, each having a separate registration requirements. 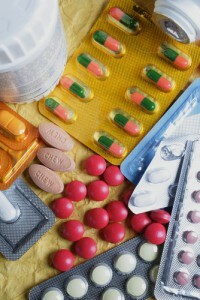 General medicines are grouped into separate categories of generic medicines, new medicines and new generics. Each category of medicines has a distinct set of requirements. The Thai FDA issues drug licenses for indefinite periods of time. Class 1 medical device: condoms, surgical gloves, syringes and diagnostic test kits. Class 2 medical devices: rehabilitation devices, blood alcohol level measuring kits, silicone implants, and test kits other that for diagnostic purposes. Class 2 requires a USFDA certificate. Class 3 medical devices: Lowest-risk devices category. Controlled Cosmetics: controlled ingredients content of a cosmetic product will require product notification to FDA before it is allowed to be out in the market. Notification process is normally completed in 1 day. Specially Controlled Cosmetics: specially controlled ingredients content of a cosmetic product will require registration. Registration process generally takes 30 working days.